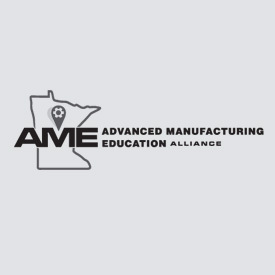 Advanced Manufacturing Education Alliance (AME) received a $13,100,920 Round Two grant award to provide specialized postsecondary education to trade-impacted and other dislocated workers, long-term unemployed, veterans, and incumbent workers who were seeking employment or seeking to advance their career paths in the manufacturing industry. Worked closely with employers and public workforce system partners to develop and offer new and modified industry-aligned credentials. Develop and integrate a hybridized and modularized curriculum. Facilitate comprehensive and continuous student support for persistence and engagement.